The Police Chief of Operations was in Lautoka yesterday to launch Operation Yadrayadravi ahead of the festive season. ACP Maretino Qiolevu says it will focus on traffic to ensure there are no road fatalities next month and their second focus will be on Drugs. ACP Qiolevu has sternly reminded highway officers in the West to be alert as a dedicated team has been tasked to assist them ensure a high level of police visibility on our roads. 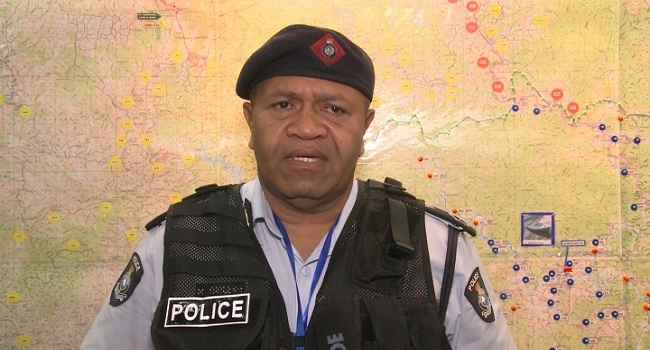 70 lives were lost on Fiji roads last year and ACP Qiolevu says 65 lives have been lost to date and it should stop there. He also revealed that with the Western division being a major area of concern, officers must be vigilant along the Queens highway. Eight people died on our roads last December and all efforts are being made to avoid holiday season fatalities this year.